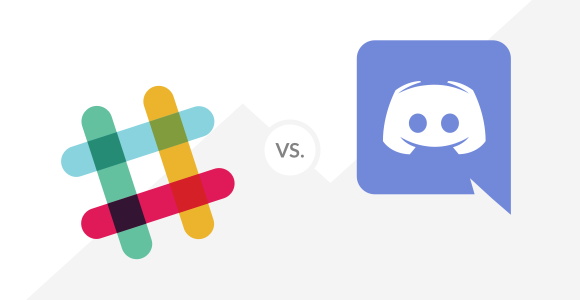 Like WhatsApp vs Telegram, Slack vs Discord is a debate you could have forever if you allowed for it. Fortunately, we don’t have to do that! Both Slack and Discord have their advantages. It’s just about what you’re looking for. Additionally, you can use both to their advantage all in Shift—if you have a hard time deciding like us. Slack and Discord are both great for team communication. Only difference? They’re great for different kinds of communication. 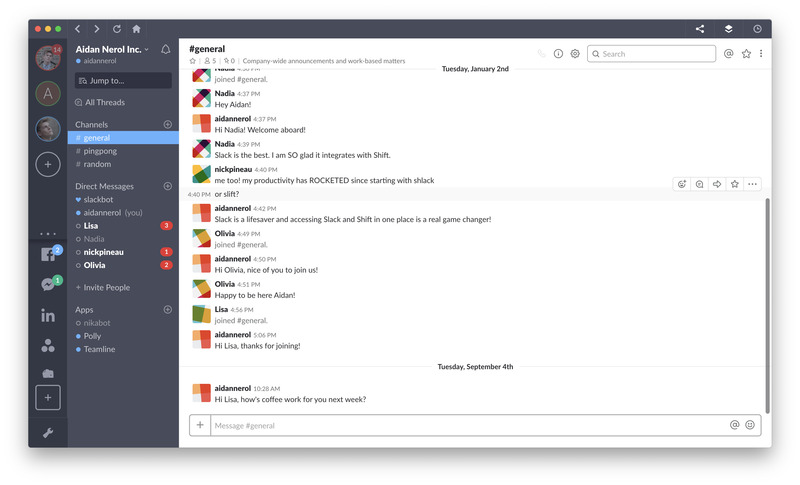 Gamers across the world use Discord and office teams use Slack for the same thing. Slack has almost 1000 app integrations! That number is also rapidly growing. Being able to use spreadsheets or calendar integrations make it great for team collaboration. Slack Bots make organizing your team a breeze. Whether you need a bot to help count votes for the office costume contest or organize a team lunch, there’s a bot for it. You can use the search function to search for specific documents and files. Furthermore, you can also search within documents in case you’ve forgotten its name. It has a 1GB file upload limit – do we really need to expand on this? Discord has amazing voice communication capabilities. In fact, voice chat is the heart of Discord. You can game and speak to your team at the same time! With video conferences for up to 9 of your friends, Discord makes group video chats smoother than ever. 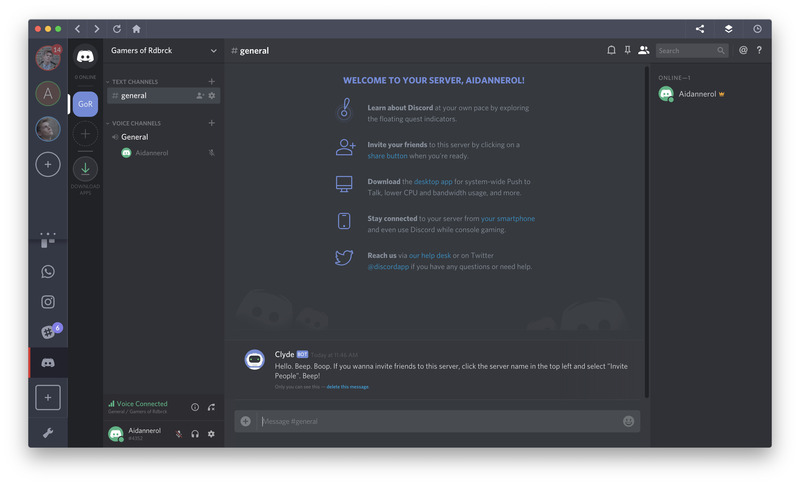 Basically, Discord is perfect for teams of gamers and Slack, for business teams. But why even choose? If you’re a gamer who also freelances or is a member of a work team, use both Slack and Discord inside of Shift. In fact, you can even simultaneously have multiple instances of Slack and Discord.